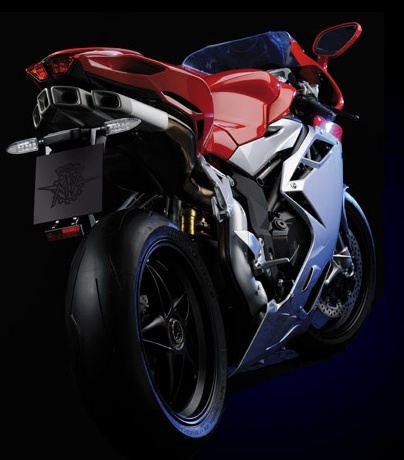 So, on the day I left for Sturgis (August 6th), Harley-Davidson announced it had concluded the sale of its subsidiary, MV Agusta, to Claudio Castiglioni and his wholly owned holding company, MV Agusta Motor Holding, S.r.l. You may recall that in October 2009, under the new leadership of CEO Keith Wandell, H-D announced its intention to sell MV Agusta as part of a NEW corporate strategy and to focus resources on the Harley-Davidson brand. In fact, Mr. Wandell was in route to Minnesota on this announcement day so his handlers undoubtedly had everything all wrapped up prior to his departure ride to Sturgis. In 2008 most of us were stymied by the purchase of MV Agusta. As a maker of expensive and exotic, high-performance sport bikes at minimum it overlapped with the Buell products and even worse was the company never explained how MV could attract younger buyers to H-D. I previously blogged about H-D going Italian HERE. Footnote: There is a certain level of incompetence from the old time management at H-D and they should-have-known-better. It’s not the first time Harley-Davidson has had a hard time with an Italian acquisition. In the 1960s it bought a stake in Aermacchi, a maker of small off-road bikes as a way to expand into new markets. Eventually it bought the whole company, but that move also eventually failed and Harley sold Aermacchi in the late 1970s. The sellers and buyers: the Castiglioni brothers. UPDATE: September 11, 2010 — Not previously made public, but buried in the Sale and Purchase Agreement filed with the SEC is a provision that H-D retains control of any press releases and statements about the sale for a year from the August 6th closing date. Why? Maybe the fact that H-D forgave a $103M Euro receivable… basically money it had loaned MV Agusta for operations. The sale agreement specifies that the receivable transfers to Castiglioni for $1 Euro!! Shareholders need to hold the board and management responsible for this “BARGAIN:” H-D paid $108M, then put $20M Euro in escrow for Castiglioni when they “sold” it back; forgave $103.7M Euro’s lent to MV Augusta and wrote off $162.6M on the company. Q3’10 will include more losses due to tax liabilities…does it ever end? Photo courtesy of MV Agusta. A couple years ago just after dusk several of us were returning to Las Vegas after a busy day in Laughlin, NV at the River Run. Hwy 163 is a long windy road at night in the desert. Black asphalt runs like a ribbon through the mountains near Pipe Springs Canyon where we came upon motorcycle pieces scattered all over the road. Flashing emergency lights blinded us and in the center divider was a white tarp covering someone’s remains. I won’t speculate if the accident was the result of inexperience, poor judgement or equipment failure, but it was obvious the motorcyclist slid out on a curve and ended up in the wrong lane beneath a SUV. It was a sobering reminder of riding risks and left a lasting impression. Economic issues notwithstanding, motorcycle ownership is on the rise in Oregon. The state has more than 131,200 registered motorcycles and scooters. That’s twice the number from 1999 and at an all-time high. But what is alarming is that nearly 30% of the 14,268 people who received motorcycle licenses in 2008 hit the highways without going through a single motorcycle-safety course to learn basic skills, according to state statistics. I thought about that accident when today I learned there have been 6 motorcycle fatalities for 2009 as of April 10th and 5 were from the first two weekends of spring! Three of these happened in the Portland area. In the northwest the reality is that when the sun comes out, so do the motorcycles. And sometimes tragedy follows. According to police, inexperience, is the most-common cause of motorcycle fatalities. It’s just not about motorcyclists losing control. In past week 463 inspections were made in a truck driver operation. More than 1-in-10 vehicles and 20% of the drivers were placed out-of-service for equipment and driver-related safety violations at the southbound Interstate 5 Woodburn area. Arrests/ticketing for everything from false urine test kits, possession of meth, marijuana, illegal handguns, suspended licenses and DUII. These statistics are most worrisome and something to remember the next time you decide to throttle around a truck hoping they don’t reach for a breakfast burrito and run you over! All this underscores a sobering reality that Oregon’s roads are dangerous. And if the above truck driver information wasn’t enough of the dumb acting dumber… there is the Bend motorcyclist Anthony Suratt who was westbound on Hwy 126 riding his 2003 Suzuki motorcycle and clocked at 135mph on radar. While trying to eluded police he failed to negotiate a sweeping right hand corner and crashed. His jail mates will likely enjoy the “almost got away” story. Later this week the Salem legislators are considering SB 546 (.pdf) sponsored by Vicki Walker (D-Eugene) which directs the Department of Transportation to include on driver license examinations at least two questions pertaining to practices necessary for safe operation of a vehicle around motorcyclists. I’m told this bill also includes mandatory training provisions, but I couldn’t locate the actual text to confirm. The bottom line is that motorcycle accident statistics suggest we need to be intellectually honest with ourselves… more and more of the most preventable hazards facing a motorcyclist is their own poor judgment. Please beware and ever diligent as you ride.